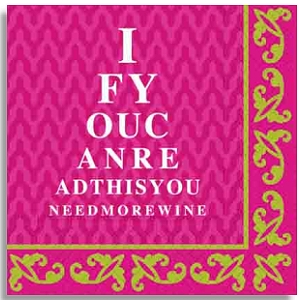 New eye chart for the Optometrist ...Cocktail Napkins. Approximate folded size: 5" x 5". Pack of 20 napkins. 3-ply napkins.